Why Cloud is Ideal for Small-to-Medium Enterprises? Cloud computing allows you to implement IT services for your business without the need to buy, install or manage any infrastructure. It will minimized capital expenditure on hardware, software, and other peripheral services, you only pay a provider for those utilities you use. Minimizing capital investment cost yet still at high standard. 2. Concentrate on Managing Your Business. Cloud computing brings lower cost online services to businesses and because the set up and running costs are minimal it gives you access to feature rich business tools enabling you to focus on your customer rather than worrying about IT or Phone System Infrastructure. For us IT Managers, we won’t be needing to add another manpower to do the maintenance and administration. You just let the expert to the dirty job and business owners can concentrate on the business operation. 3. Flexibility – Use Only When You Need It. 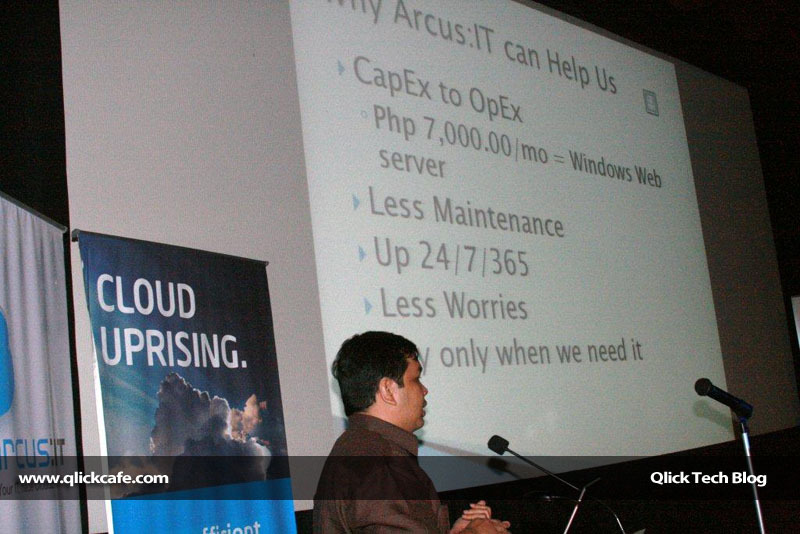 When I was able to test the Cloud infrastructure from Arcus:IT, I realized one of the benefits in cloud computing is Flexibility. You will be able to deliver complex solutions and infrastructure immediately and without worrying on the high capital cost of deployment, hardware and maintenance and disband the infrastructure when you don’t need it any more. The above key benefits is just what I see very ideal for SME businesses. You may share your ideas below if you want to add more. Meantime to balance everything, I will tackle on my next post … my views about the risk in implementing Cloud Computing.